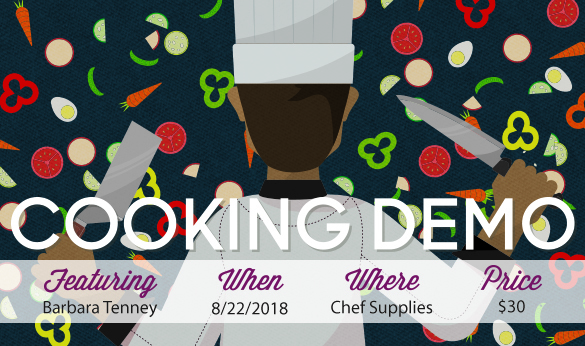 Join us in the Chef Supplies kitchen next week on August 22 for a country dinner with Barbara Tenney! You are sure to enjoy these down-home recipes that feature feature fresh produce and tons of flavor! Call 865-225-1545 to RSVP for this KaTom event.